j. Complete the payment in bKash mobile within 72 hours. 9. Successfully complete your payment you found User Id and Password and Not this User Id and Password. 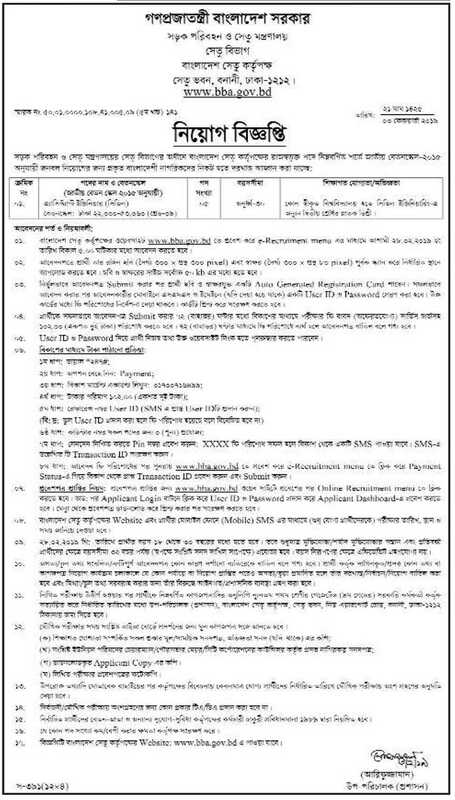 Bangladesh Bridge Authority (BBA) authority Mobile SMS declaration will be published Admit Card. Every applicant can download login with User Id and Password at http://www.bba.gov.bd/->eRecruitment Menu. Bangladesh Bridge Authority (BBA) authority Mobile SMS declaration will be published Seat Plan and Exam Center at your Admit Card. You can download Admit Card login with User Id and Password at http://www.bba.gov.bd/->eRecruitment Menu. 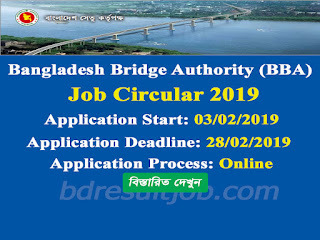 Bangladesh Bridge Authority (BBA) authority will be published at their Official website notice board http://www.bba.gov.bd/. Tags: Bangladesh Bridge Authority (BBA), BBA, বাংলাদেশ সেতু কর্তৃপক্ষ নিয়োগ ২০১৮ এর বিজ্ঞপ্তি , www.bba.gov.bd, www bba gov bd, Bangladesh Bridge Authority (BBA)Assistant Engineer (Civil) Recruitment Circular 2019, Bangladesh Bridge Authority (BBA) Assistant Engineer (Civil) admit card Download, Bangladesh Bridge Authority (BBA) Assistant Engineer (Civil) bba online application form 2019, bba Exam Result 2019, Bangladesh Setu Kortipakka Job Circular. 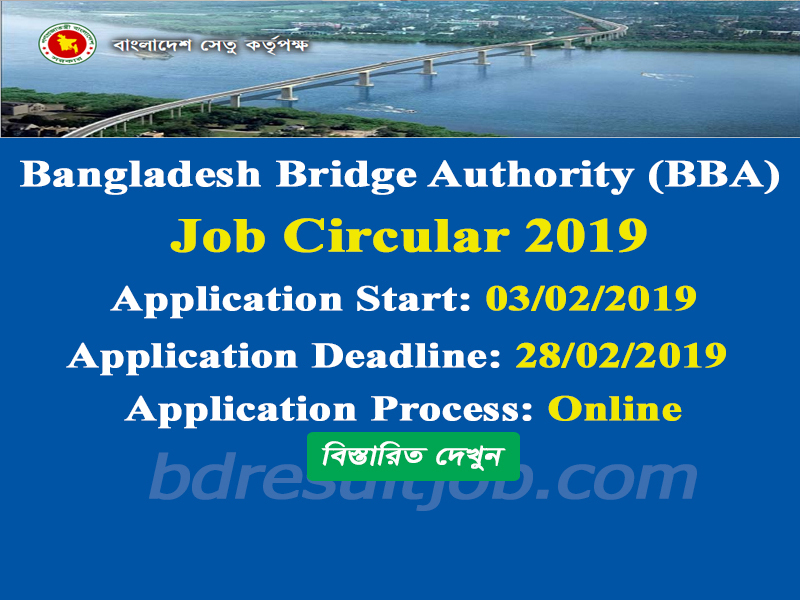 Bangladesh Bridge Authority (BBA), BBA, বাংলাদেশ সেতু কর্তৃপক্ষ নিয়োগ ২০১৮ এর বিজ্ঞপ্তি , www.bba.gov.bd, www bba gov bd, Bangladesh Bridge Authority (BBA)Assistant Engineer (Civil) Recruitment Circular 2019, Bangladesh Bridge Authority (BBA) Assistant Engineer (Civil) admit card Download, Bangladesh Bridge Authority (BBA) Assistant Engineer (Civil) bba online application form 2019, bba Exam Result 2019, Bangladesh Setu Kortipakka Job Circular.